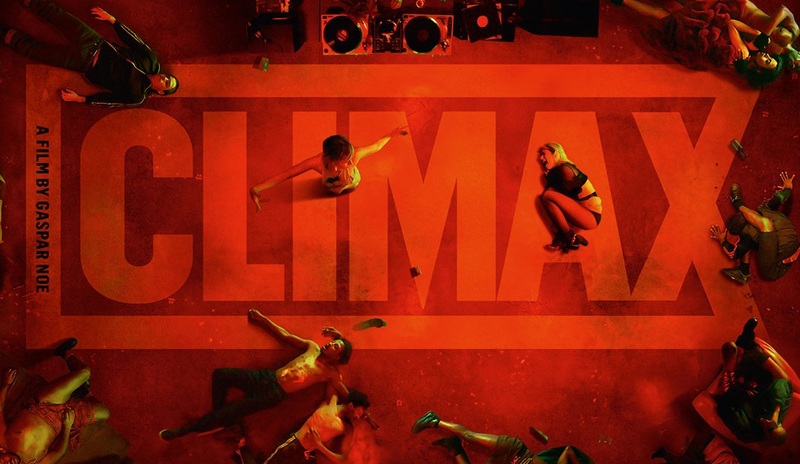 Marie takes a look at provocateur director Gaspar Noé’s latest film Climax, which begins with some audacious dance filming and descends into the drug-induced nightmares of its protagonists, all while remaining remarkably accessible! You despised I Stand Alone. You hated Irreversible. You loathed Enter the Void. You cursed Love. Now try Climax. Noé is an artistic provocateur, and revels in it. The success (or not) of his films appears to be largely irrelevant to him, as long as there is a strong reaction to his work. And so it’s a pleasant surprise to be able to say that Climax is actually quite an accessible movie, even if I would be hard-pressed to say that I enjoyed it. Based on alleged real events which happened in 1996, the premise centres on a party in an isolated school, attended by a group of dancers who are celebrating the end of a few days’ rehearsal. They dance, talk, eye each other up in a glare of red light, until it becomes obvious that someone has spiked their drinks, and the majority of them descend into some horrible hell which is played out to a background of dance music. An early sequence introducing us to the dancers very cleverly sets up a little of what can be expected, as we see them being interviewed on a screen which is surrounded by video tapes and books containing titles such as Dario Argento’s Suspiria, Andrzej Żuławski’s Possession, Pasolini’s Salò and various Kafka novels. The opening dance sequence is audaciously shot seemingly in one take, with the camera swirling around among the dancers and also shooting them from above looking down directly. A second dance sequence is shot entirely from above which brings and unusual and striking perspective to the performance. In between this, we drop in on conversations between various combinations of the group, and get hints at racism, religion and colonialism, along with some very detailed conversations between the men about women and their bodies which I would rather not have had to listen to. But it’s when the fallout from the spiked drinks comes to the fore that I began to feel my attention drifting. One horrible thing after another happens to various members of the group, and as I turned my eyes away, I didn’t have the urgency to turn back to see what happened next. As each individual experiences their own acid-induced horrors, I was just checking to see how much longer there was to go. Mercifully the film is only 96 minutes in length, although the last section did feel a whole lot longer than it actually was. Bathed in red or green light, and often shot with the camera upside down, it becomes totally disorientating, particularly in the last 10 minutes. I don’t suppose Climax is a film many without prior knowledge of Gaspar Noé’s work will choose to watch, but if you are thinking of diving in, then there are probably worse places than this one in which to start. Climax is released on Blu-Ray and DVD on 11th February by Arrow Video.